Tim Tebow’s shoulders look wide enough to land a 737. (Airports have reportedly asked him to sub as a runway.) If you want similar width, here’s your playbook. Listen, I'm not so totally Tim-over-heels that I bought a No. 15 jersey before he even started a freakin' NFL game, but yes, I'm a fan. You might even say that I'm into Tim… but you shouldn't. Phrase it that way and I'll punch you with all the power of a Tebow-thrown spiral-bomb. Tim strikes me as a solid guy - a guy who is good for football. He is quarterbacking poignant newspaper headlines in the sports world, inspirational "touchdown" stories instead of arrest reports and strike updates. Charles Barkley was right when he said athletes shouldn't be role models, but you have to admire someone like Tim Tebow, who is so well-known for his hard work. There are questions about The Deacon of Denver's arm strength and accuracy, but no one doubts the guy's strength, athleticism or heart. Plus, the dude is built! If you don't believe me, ask your girl. Any time the ball leaves Tebow's left arm, you can bet her eyes aren't following the ball downfield, but are fixed on his physique. 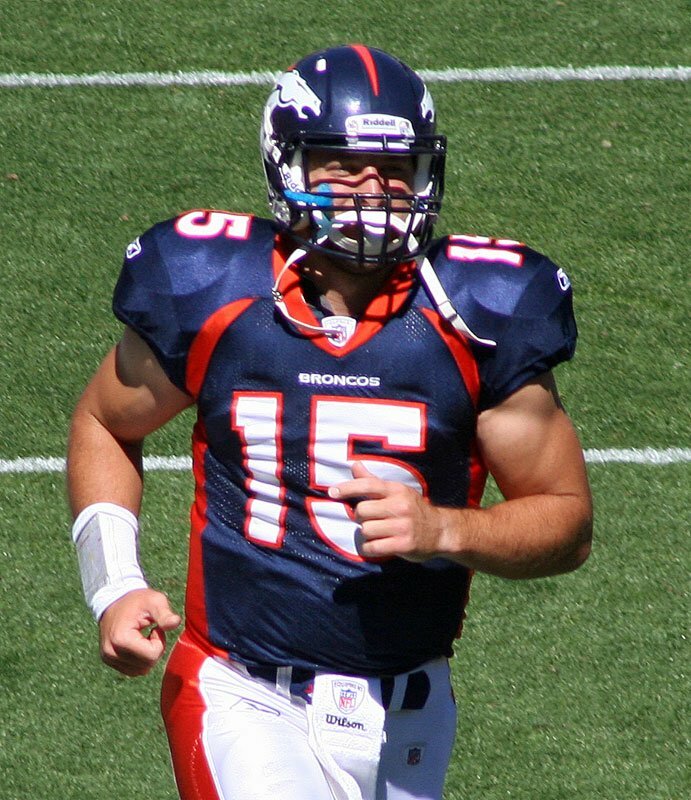 As a college football fan, I watched Tebow develop from a stud freshman at the University of Florida into arguably one of the best college footballers of all time. Year to year, he became noticeably faster, more powerful, durable and more muscular. This raises an important question: Is Tebow a genetic natural in the muscle-building game, or does he train for his body type without even knowing it? It takes more than shrugs to build the sort of wide shoulders that would make Atlas envious. The Answer: I believe it's a combination of both. When you take a look at Tim, what's the first area that you notice? For me, it is shoulders that look wide enough to land a 737. (Airports have reportedly asked Tim to sub as a runway.) Naturally-wide shoulders give the visual illusion of a bigger chest and more developed arms. Maybe you aren't as naturally tricked-out as Tebow. Maybe you weren't gifted with wide shoulders that would make Atlas envious. Not to worry. All hope is not lost. Just like Tebow, you can look thicker than you really are with the shoulder specialization program I'm about to drop. Why focus on delts? Most guys go to the gym and hammer their arms or chest. They rarely dedicate time to shaping their shoulders. You are about to give your delts the attention they deserve. By alternating rep ranges during a 4-week training block, you can fully fatigue both your fast- and slow-twitch muscle fibers. This will ignite a major growth stimulus while preventing overtraining. 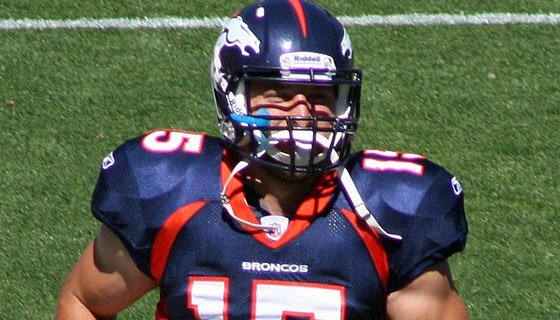 By the end, you might not play like Tebow, but you'll look like you can. Use Strongman Techniques To Transform Your Football Training!